Completed applications need to be received by March 15th. 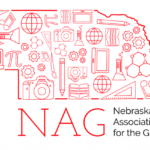 The Nebraska Association For Gifted will be awarding scholarship(s) of up to $250 for students in preschool through Grade 11. Scholarships are awarded to students to encourage them to take advantage of educational opportunities that provide enrichment, acceleration, or independent study. All applications must be submitted by March 15th. Recipients will be notified by April 15th. For what educational opportunity will this scholarship be used? 2. What is the cost of this experience? 3. What will this opportunity provide? 4. How will this experience benefit you? 5. Please include anything else you would like the committee to know about you. 6. Please submit evidence of high ability, such as school identification, test scores, or a letter of recommendation. For preschoolers only, this may be a parent recommendation. 7. Please attach a brochure, newsletter, website, or advertisement that explains or advertises this opportunity.